"Avengers: Infinity War" is full of awesome and hilarious references to classic films, bands and yes, even ice cream brands. Click through TheWrap's gallery to see what made the cut. 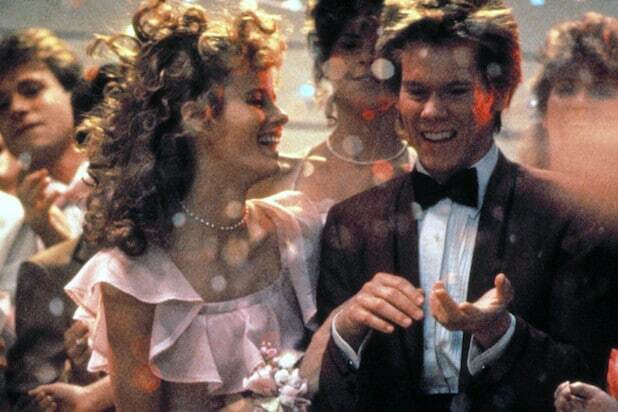 "Footloose" Tom Holland's Spidey references the 1984 film starring Kevin Bacon in the film. However, this isn't the only time Bacon gets mentioned in "Infinity War." 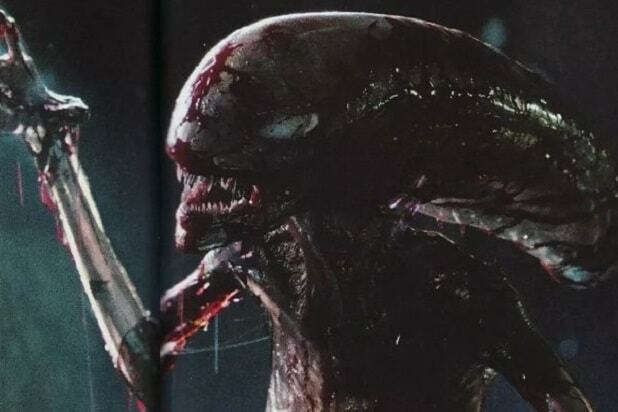 "Alien" Movies In the same scene, Peter Parker also uses the "Alien" movies as inspiration to get out of tricky situation. Squidward Tony Stark (Robert Downey Jr.) tells one of Thanos' Black Order members that he reminds him a lot of Squidward Tentacles from "SpongeBob SquarePants." "Arrested Development" Someone covered in blue, wearing Never-nudes and looking very much like David Cross' character Tobias Fünke from "Arrested Development" is seen in one of the scenes of "Infinity War." Starbucks Okoye (Danai Gurira) references Starbucks and The Olympics (on the next slide) when talking to T'Challa about making Wakanda accessible to the outside world. Grimace McDonalds' The Grimace gets a shoutout in a conversation with Thanos (Josh Brolin). That's on point, given that many fans commented that exact thing about Thanos' look on the internet prior to the film's release. The Beatles Tony Stark talks to Bruce Banner (Mark Ruffalo) about the Avengers disbanding and Bruce says, "Like the Beatles?" 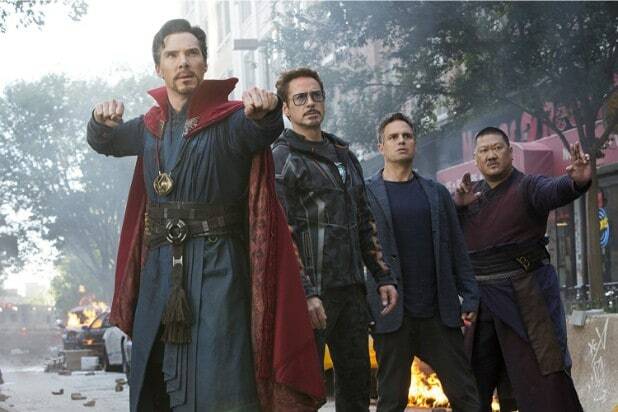 Ben & Jerry's In a scene between Tony Stark and Doctor Strange (Benedict Cumberbatch), Stark tells the Sorcerer Supreme: "Well, I swore off dairy but then Ben & Jerry's named a flavor after me." "Defender" Video Game Groot (Vin Diesel), who is no longer a baby but has since grown into an angsty teenager, is seen playing the classic "Defenders" arcade game throughout the movie. Kevin Bacon Pom Klementieff's Mantis references Kevin Bacon in the film, as well. "Rubberband Man" The Guardians sing The Spinners' "Rubberband Man" when flying through the galaxy. Mr. Clean At one point, Tony Stark called Drax "Mr. Clean" -- and to be honest, we see the resemblance. "The Waterboy" In the movie, Mantis (Pom Klementieff) says the Guardians are there to "kick names and take a--," which is a reference to 1998's "The Waterboy."